In 2010, the Alaska State Legislature adopted a renewable energy goal for Alaska – one of the most ambitious in the country. It calls for generating 50 percent of Alaska’s electricity from renewable sources by 2025. Today, about 21 percent of the state’s electricity comes from hydropower. All other sources of renewable energy—including wind, solar, geothermal and the rest—contribute 1 percent of Alaska’s electricity. Alaska will continue to pursue a variety of renewable energy projects, however a large hydropower project has been identified as being essential to meeting the state’s renewable energy goal. Susitna-Watana Hydro has a long history, including an extensive study phase in the 1980s. The project was shelved because of the availability and low cost of traditional energy sources. 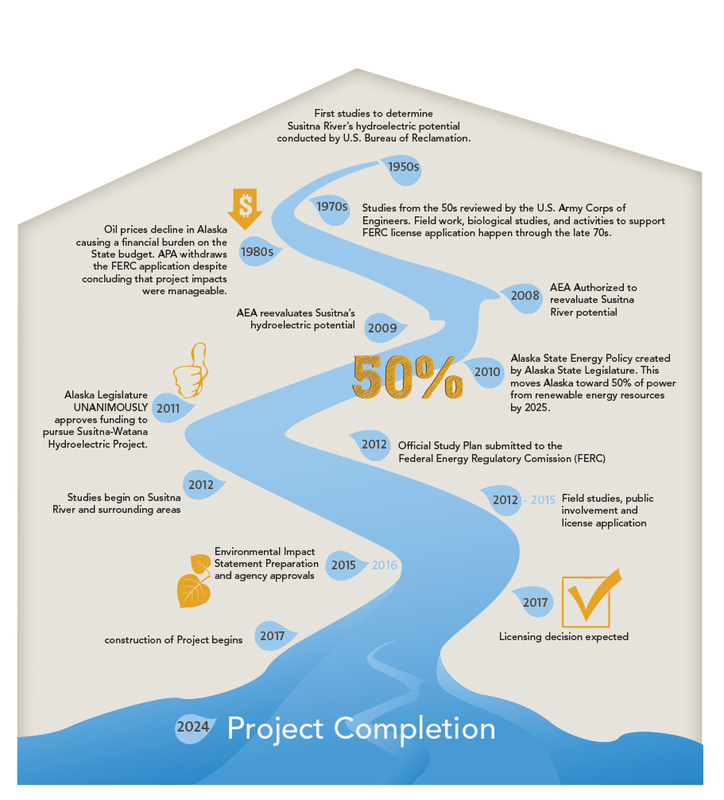 In 2010 the state authorized AEA to pursue Susitna-Watana Hydro as part of its long-term energy policy.